At Oil Consultants we take great pride in the excellent service levels we provide, to both our clients and our consultants. This level of professionalism is reflected in the accreditations we have been awarded and also in the industry bodies we subscribe to. 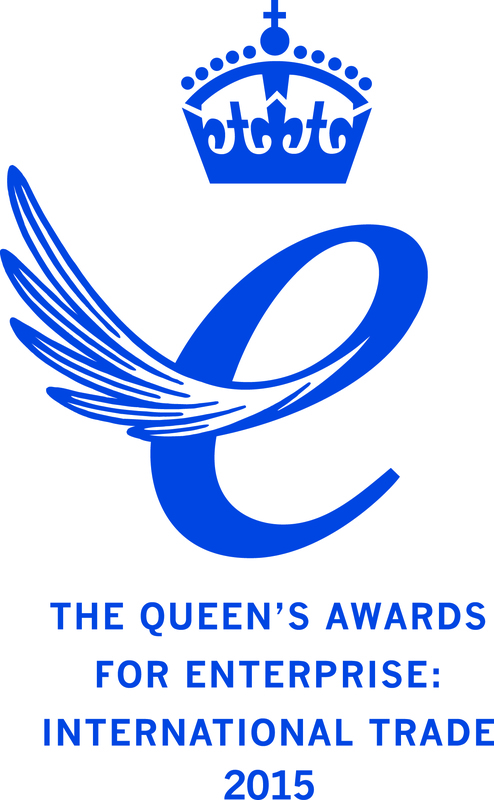 The Queen’s Awards for Enterprise are the most prestigious accolades for businesses in the United Kingdom. To be eligible for the award in International Trade a business must demonstrate that is has achieved substantial growth in overseas earnings and in commercial success for the business size and sector over a period of 3 years. The award is valid for 5 years after receipt. Oil Consultants have won the award in 2010, 2013 and 2015. Oil Consultants has been ISO 9001 accredited since 2008. The award recognises our commitment to quality management throughout the business and requires us to pass a regular external audit on our internal processes and management systems. The ISO 9001 accreditation is a globally recognised award that confirms a business has the quality systems in place to provide a foundation to better customer satisfaction, staff motivation and continual approval. JQS (Joint Qualification System) is a supplier register and pre-qualification system used by the buyers in the Norwegian and Danish oil and gas sector to manage supplier information and risk within the supply chain as well as to procure efficiently in accordance with EU regulations. Oil Consultants was shortlisted for two awards, Best Client Service and Best International Agency. These are national awards for the UK recruitment industry where we were competing with large multinational companies. To be short listed in these categories has been a major achievement. PEC Safety is a technology and training company dedicated to reducing risk and improving safety for its hiring clients and contractors, with an aim to bring workers home safely. PEC Safety works in collaboration with a wide range of industry safety focused organisations including SafeLandUSA and SafeGulf. ISN is the global resource for connecting corporations with safe, reliable contractors and suppliers. The organisation collects safety, procurement, sustainability, quality and regulatory information, verifies its accuracy and then reports the results in an easy-to-follow format. The Sunderland Echo Portfolio Business Awards recognise successful businesses in the Sunderland, Tyne and Wear region. Oil Consultants were finalists in three categories, (Export, Large Business and Best Overall Business) and won both the Export Award and the highly coveted and prestigious Overall Business award. Drive, dynamisim and leadership - these are just some of the qualities the judges will be looking for in the 30th year of the North East Business Executive of the Year Awards. Helen Smith, CEO of Oil Consultants, has been shortlisted in the Durham and Wearside category and the winners will be announced at a glittering event on the evening of 14th November. On 6th March, 2014, Oil Consultants were named as the Best Export Company in the Durham and Wearside region, an award where we were runners up last year. The award recognises companies that have generated substantial and sustained increases in export activity and looks at the barriers that have been overcome and the degree to which products and services are new and markets are non-traditional. Our success in this category means we now go through to the Grand Final on the 1st May 2014 where we will represent Durham and Wearside in the overall North East awards. Oil Consultants have were runner up in this award for the second successive year. This award was open to companies in the region employing no more than 75 full time staff who could demonstrate a proven record of success. Some of the factors considered by the judges included what differentiates the company's products and services from its competitors and evidence of commitment and imagination in the product or service. These awards recognise the achievement of companies operating within the UK recruitment industry and entrants are judged by their peers. The Best International Agency Award was open to all firms providing outstanding service through recruitment solutions to at least three countries outside of the UK and Ireland, (Oil Consultants serve clients in over 90 countries!). The judges wanted to recognise companies who added outstanding value to their business partnerships and relationships and didn't just provide a solid professional service. They also looked for innovation, market insight and profitability. This another award where Oil Consultants have been shortlisted for the second consecutive year. The winners will be announced on the 7th May 2014. The North East Exporters' Awards recognise the efforts of companies that, through exporting achievements, are making to both the regional and UK economies. The winners of each award category will be revealed at a prestigious awards dinner taking place on the 15th May at the Ramside Hall Hotel, County Durham. Oil Consultants are delighted to have been announced as one of the finalists in the mid to large exporter category, a fantastic achievement for a company of our size and one that is exporting services as opposed to a physical product. Following on from our win in the Durham and Wearside heats, Oil Consultants will now represent the region in the Grand Final to be held at Hardwick Hall in Sedgefield on 1st May, 2014. We will be competing against fellow oil and gas industry company, SMD, and CorDEX Instruments from the Teesside region. The Global Recruiter Industry Awards celebrates the best of the best in recruitment. These unique awards identify the people and organisations who have made a stand-out contribution to recruitment in the past 12 months. To be shortlisted for two of these prestigious awards is an amazing achievement. Winners will be announced on the 26th June, 2014. Oil Consultants are delighted to be named the Best Specialist Agency, beating off some very tough competition.